West Virginia Network’s website has been in need of a “makeover” for some time, not only to make our online presence more visually appealing, but to present our information more clearly to our visitors. Our hope with this new site is that you will find the details you are looking for faster, and that they will be presented in a manner that answers your questions fully. 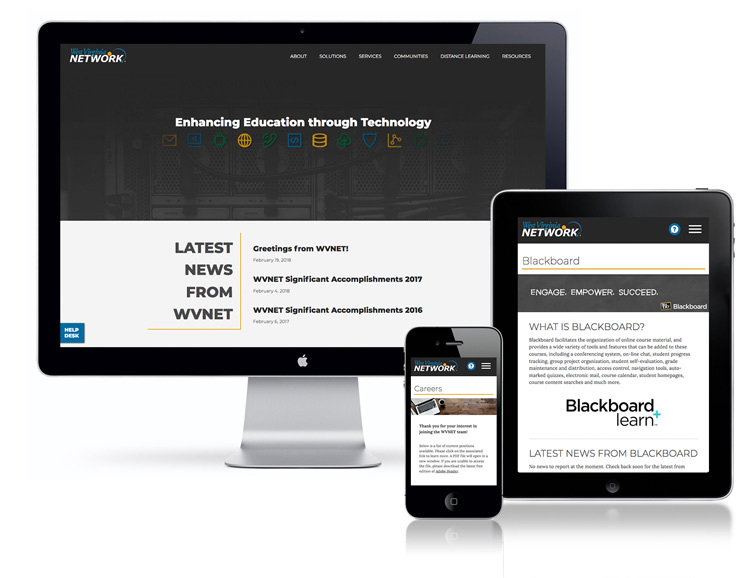 If you are in need of additional assistance, or would like to speak with us directly regarding our many offerings to educational institutions in the state of West Virginia, feel free to use one of the many “Contact Us” forms throughout the site, or simply email us at wvnet@listserv.wvnet.edu or call us at 304.293.5192 and let us know how we can help you!